Do your kids feel that board games are ho-hum without advertising from some of the world’s biggest brands? Maybe your girls and boys are bored with the virtual tooth fairy they already have (yes, this exists) and the only way to make them happy is to pay more to unlock a VIP edition? Or does your potty-training youngster cry because he or she has to take their eyes away from the iPad for a few seconds while they do their digestive duty? Then we have some toys for you! Yes, the folks at the Campaign for a Commercial-Free Childhood have released the list of nominees for the group’s annual TOADY award for the worst toy of the year. 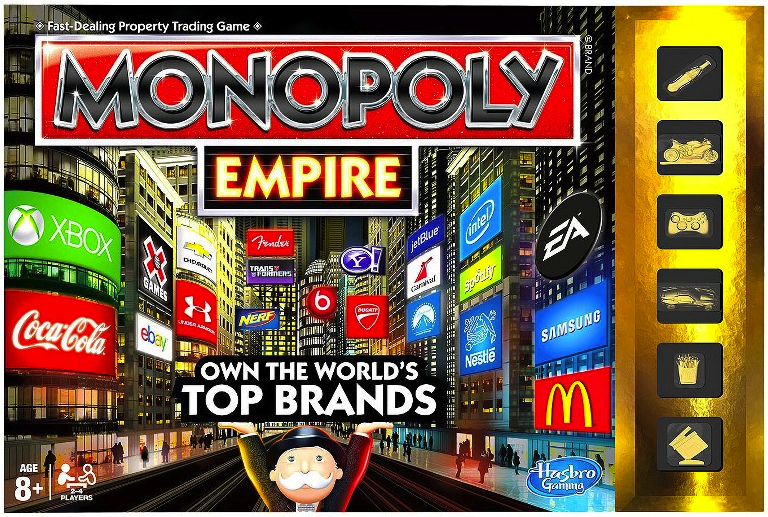 First up, is a toy that Consumerist actually brought to the CCFC’s attention back in July: Monopoly Empire, a version of the classic board game that uses dozens of existing name brands to advertise to kids. Among the companies found around the board — Target, Coca-Cola, eBay, Yahoo, Nerf, Chevrolet, Beats Audio, Carnival Cruise, Intel, Samsung, JetBlue, and of course McDonald’s. And guess how much you get paid for letting your living become a hands-on ad for several hours? Oh, wait… it costs you $20, and not in Monopoly money. The second nominee is an app called PLAY-DOH Create ABCs. 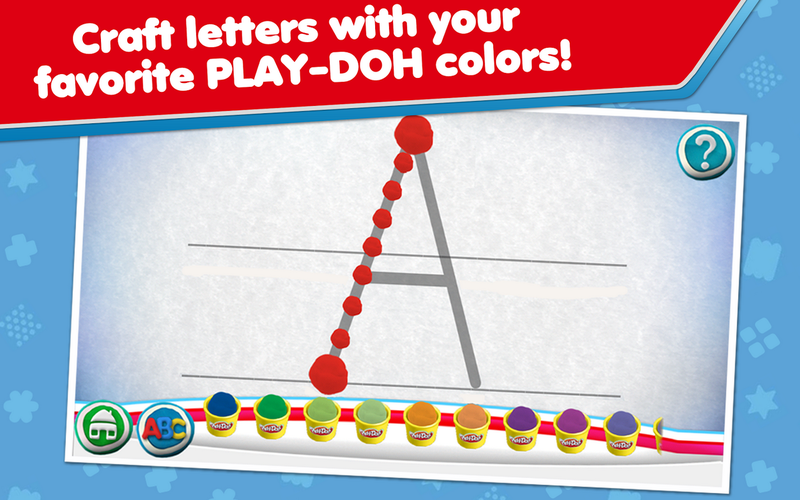 Yup, it’s the PLAY-DOH experience, but on a smartphone or tablet. For a few bucks (CCFC has it listed at $1.99 but it’s showing for $2.99 in the app store for us; not that we’re buying), you can save the hassle of cleaning up PLAY-DOH while also letting an iPad teach your kids the alphabet… Forgetting that the purpose of PLAY-DOH is to inspire kids to think creatively in three dimensions and use their hands. 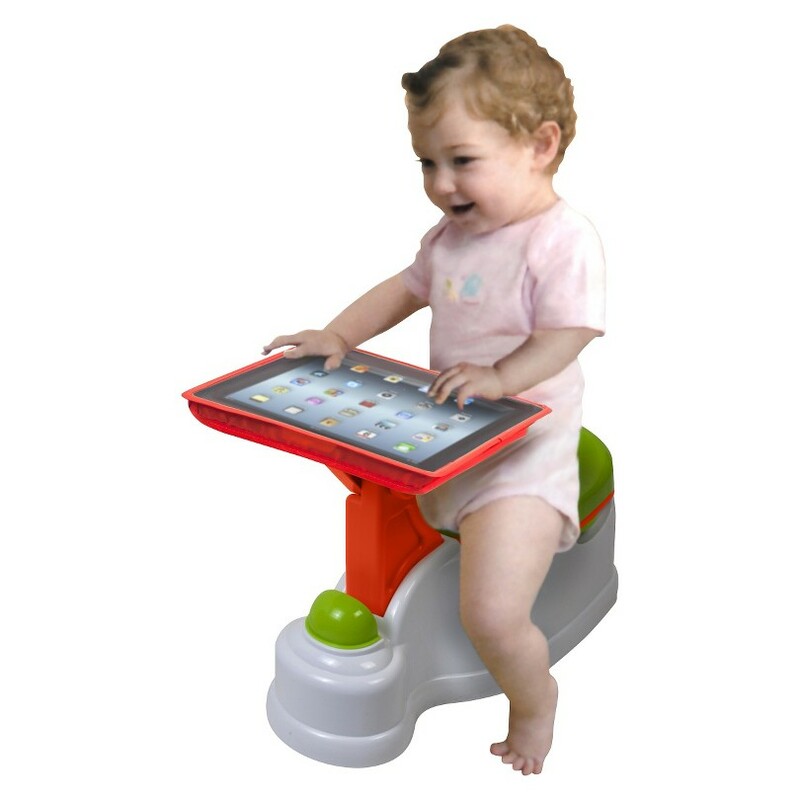 Speaking of not being able to tear kids away from a screen, there’s the third nominee, the on-the-nose named iPotty. For parents who have no problem not only putting a $600 piece of electronics in a toddler’s hands, but who have no issue putting that device and the toddler together on a $35 piece of plastic intended for the collection of human waste. Of course, many of these kids are just mimicking their parents who won’t let a potty break stop them from checking their portable electronic devices. The fourth nominee is truly something that is beyond my understanding. 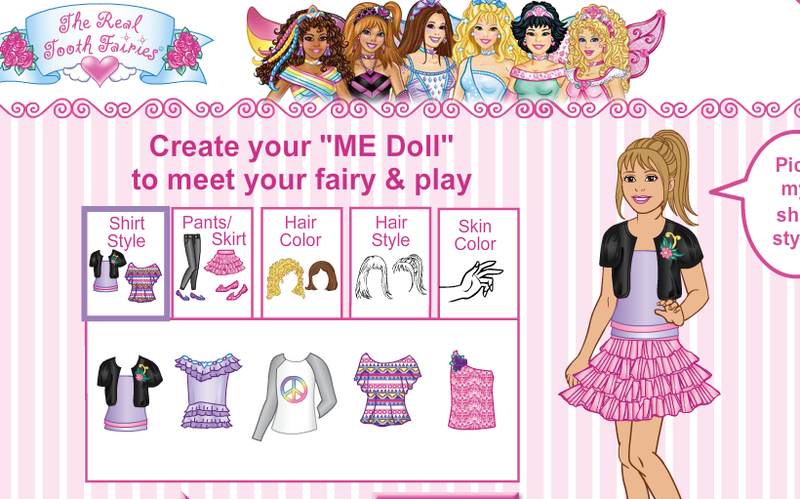 First, there is a website called The Real Tooth Fairies (look it up if you want, because after the flash-video horror I experienced just now, there no chance I’m posting a link) where you can create and dress up virtual tooth fairies. That’s bad enough, but at least it doesn’t cost anything other than the brain cells you’ve lost in looking at the site. This is a screengrab from the non-VIP portion of the Real Tooth Fairies site, because I dared not go any further in the registration process. What got the TOADY nomination was the VIP Upgrade Membership on The Real Tooth Fairies, a $60/year membership plan that basically gives your kids the ability to pick from more virtual outfits and use whatever “sparkle dollars” to give their Tooth Fairy a makeover, all while mocking the buck-toothed, glasses-wearing fairy-wannabe Stepella. So it’s a way to charge parents money to enforce gender, fashion, physical, cultural, and class stereotypes. Rad! 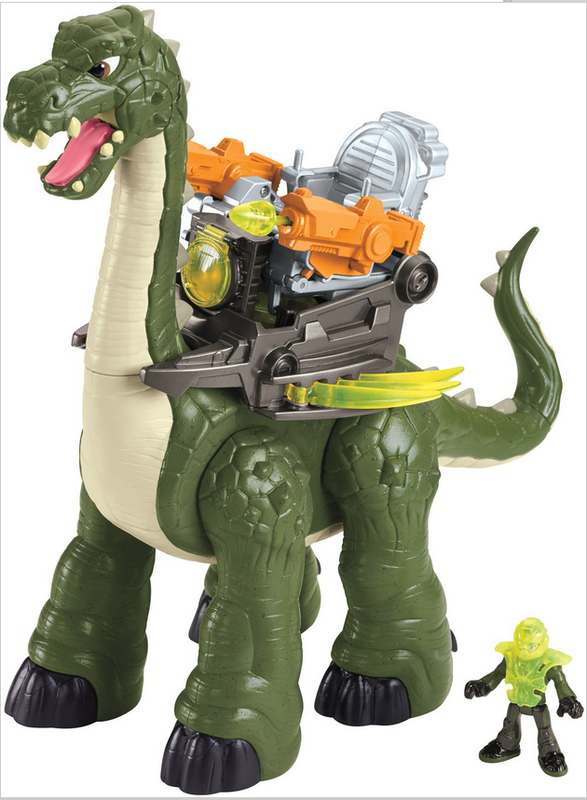 The final nominee, the Imaginext Mega Apatosaurus by Fisher Price, takes two things kids love — dinosaurs and warfare — and combines them into one $40 toy. What’s worse, says the CCFC, is that in spite of the word “imagine” sort-of being in the product name (Imaginext sounds like a prescription drug, or a horrible convention you might stumble into), there really isn’t much for the kid to do with this toy. You can vote for your choices on this year’s TOADY Awards at the CCFC website.